Editor’s note: This is TRaCE’s 50th narrative, and we’re excited to feature Michelle La Flamme’s story! Our past narratives are all available in our archive. See also our reflection posts on the process of writing narratives, the quantitative data collection and analysis, and the experiences of our student interviewers. Being asked to reflect upon my experiences as a graduate student flashes me back to a time that had some serious practical and financial constraints. As a woman of color with Aboriginal ancestry, the idea of going to university necessitated an engagement with the negative stigma that universities represented to me. It was a struggle for me to feel a sense of belonging and to find the right to express my own voice in such a space. I experienced the typical loneliness that comes from doing focused graduate studies, but there was also an extra loneliness I felt by not seeing people who looked like me, or professors who looked like me, and never being exposed to texts which resonated with my own experience as a mixed blood woman of color. My love of literature, the guidance of some very supportive mentors, and the knowledge that I was the first in my family to complete a doctoral degree were the forces which drove me forward. Here is a little bit of my story that I have been asked to share in the hope that it will make the path a bit easier for others. I went straight from high-school into Douglas College and completed a BA with Honors in English at Simon Fraser University. Later, I completed an MA at SFU and then abruptly left academia to engage in the arts and social justice issues. I had been away from academia for several years when I decided to begin a doctoral program in English. I was motivated by the fact that I had excellent grades and I really enjoyed learning. At an informal luncheon at my mother’s house, Dr. Roy Miki and Dr. George Elliot Clarke inspired me to continue with my education and suggested that I return to university to complete a PhD. I was impressed by the fact that they both were capable of balancing the teaching load with their own creative practice and they still had time for social justice activism. At this point, I had been out of university for eight years, so the thought of returning was quite daunting. With trepidation, I decided to enroll in two graduate courses while still working full-time. I initially audited these two courses and sought guidance and letters of support from my instructors as I prepared myself to begin the doctoral program. I was also motivated to complete a doctoral degree because I had become the guardian of my niece and I had been dropped instantly into the role of being a parent! I decided right then that it would be best for me to complete my education and move towards the stability of a university career. I entered the University of British Columbia while I was already working off-campus, so this was a bit challenging to schedule my employment around classes and to balance the need for financial stability with the demands of solo parenting. This income, in addition to RAships and TAships, helped me through the first year. Later, I had the honor of being awarded the Gunter Paetzold Fellowship at UBC, and this was a significant source of support that enabled me to complete my research in a timely manner as I could finally stop working off campus and concentrate my work and research on campus. In addition to tuition, I also had to handle the extra financial cost of parenting. The cost and the time associated with being a single parent and a serious student was not something that I had fully anticipated. The complexities of holding these dual responsibilities and working off and on campus was a hidden reality that was not discussed within the department. Most of the time when I was on campus, I felt like an outsider. My age, my brown skin, and being a parent marked me as an outsider. I struggled to integrate the inclusive and richly rewarding world I experienced outside of academia with the world I experienced at the university. Dr. Valerie Raoul helped me to see the value in my social justice perspective and lived experience when she asked me to contribute an essay to a book on women filmmakers. The essay is entitled “Unsettling the West” and it analyzes independent films by local Aboriginal women. I was excited to write about something that had meaning to me, and I was pleased that she thought others might enjoy the essay. This moment helped me to consider the value of my voice and my writing. This experience opened me up to the idea that I did have something of value from my off-campus life that I could contribute to the academic environment. Later, in conversation with Dr. Jerry Wasserman, I gained a second significant insight into how I might fuse my two worlds. I inquired how he managed to maintain his creative life and his academic life. Like Miki and Clarke, Wasserman had the capacity to be successful in both worlds and this possibility excited me. A third crucial moment happened for me when I was a graduate student working as a TA. I was involved in Aboriginal performance off campus and it struck me that this vital area was an important aspect of Canadian theatre history. I naively asked Jerry why there was not a course in Aboriginal theatre history at UBC, and he said we could create one. I was very excited. Teaching this course was a wonderful moment for me to realize how an academic space might be flexible enough to accommodate new narratives. I started to see that there might be room for my voice in this largely white academic space, and I started to realize that one could be engaged with the arts and social justice as well as being a professor. These professors demonstrated that complexity to me, and each, in their own way, strengthened my resolve to complete my doctoral degree. My most significant relationship at UBC during my graduate work was with Dr. Sherrill Grace. She guided me through my teaching, research and writing phases and provided me with an excellent framework for mentorship that I now carry forward in my own work. I also had relationships outside of academia where I felt supported, emotionally and spiritually, by a community who was committed to social justice. Because the university environment is a new place for many people who have historically been absent from such spaces, it’s important that such students are informed about which resources are available on campus and to learn about the culture and protocols of the university community. Individual departments should be knowledgeable about these supports so that they can help inform incoming students about these resources. I finished my doctoral degree in four years due to the support of my supervisor and my committee, as well as the cultural supports that I experienced through the Longhouse at UBC. When I graduated, my dissertation, Living, Writing and Staging Racial Hybridity, won the departmental prize for the best dissertation in 2006. It was a very proud moment for me, made especially noteworthy as I am the only one in my family ever to complete a terminal degree! Though my niece exclaimed that the doctoral defense was the most boring day of her life, I hope she will realize the significance and impact that this moment had on our whole family when she is mature enough to reflect on it. The cover of Michelle’s book SOMA TEXT: Living, Writing and Staging Racial Hybridity in Canadian Literature and Drama is a section from Brianna McCarthy’s Paper Queen Alice. After graduating, I worked at the Justice Institute of British Columbia as an education coordinator for three years, which enabled me to pay off my student loans. Because I was older than other graduates of the doctoral program, I was advised that my age might be an issue in the application process for academic jobs. However, I was approached by the University of the Fraser Valley for a teaching position in the English department and took up a tenure-track position there in 2010 (faculty page). The position is very teaching-intensive in that we regularly teach seven courses per year! I have always enjoyed teaching and I now have two decades of teaching experience and consistently excellent evaluations. I suppose that having a background as a performer has helped me with the occasional improvisational nature of classroom management. I learned a lot about teaching while working as a TA at SFU and UBC and I learned a lot about publishing while working as an RA. I also gained important skills when I accepted a post as a guest lecturer for a year at the University of Stuttgart in Germany. At UFV there is modest support for research and professional development but few people have the energy for research given the tough teaching requirements. Although UFV is an hour away from my alma mater, it appealed to me because it is a small campus that is very committed to teaching and has a commitment to Indigenization. Now I teach Canadian literature and drama, Aboriginal drama and special courses about hybridity in Canadian literature and drama. I have a nice collection of colleagues and I regularly mentor UFV students as well as Aboriginal students who knew me as their instructor from my time at UBC. 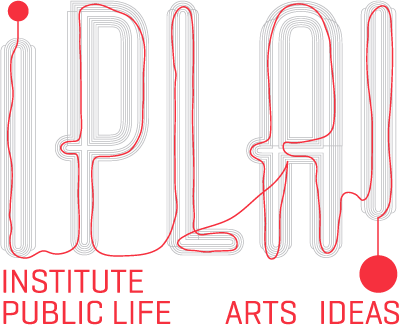 My doctoral research was the basis for a book that is being published by WLUP entitled SOMA TEXT: Living, Writing and Staging Racial Hybridity in Canadian literature and drama (2017). I feel very pleased about my career choice. I am grateful for the use of this forum to give thanks to my mentors, acknowledge the support of my communities and, especially, recognize Dr. Sherrill Grace for taking me under her wing and guiding me along the way. The most important piece of advice I have for graduate students is that they should choose their supervisors very carefully. Find someone who has a compatible communication style, understands both your topic and your process, and is expert in their field. It is also vital to select someone who is kind, generous and supportive. While supporting the student during the rigors of the doctoral degree, a good supervisor will also look for opportunities to mentor the graduate student and advise them on important topics such as publishing, teaching, preparing for conferences, and employment. In addition to these practical considerations, a committed supervisor will assist the graduate student in navigating through the doctoral process so that key deadlines are met. He/she may also filter and collate the most relevant suggestions for revision from the committee so that the student is not revising drafts based on three sets of feedback! Dr. Sherrill Grace has a stellar reputation for really dedicating time to mentoring her students. Junior faculty could learn a lot from her with regards to how she navigates a student through many important processes. Graduate students should also nurture and explore possibilities for informal connections with other graduate students, as they will often appreciate the complexities of this life and understand the demands and the isolation that is required. More support for first-generation students and parents within departments would help to combat the relative isolation faced by students completing the PhD. Dr. Yvonne Brown and Dr. Alannah Young were powerful mentors for me at UBC. Both of these women helped me to cope with the emotional and spiritual aspects of this isolated period of my life. We all need good mentors and role models. Anyone who is marginalized in the largely white, male, Eurocentric space of academia should actively search and retain role models and mentors in order to learn about the protocols and nuances that are specific to this academic community. I suggest that graduate students of color, Indigenous students, people who are the first ones to complete doctoral degrees and graduate students who are juggling studies and childcare should have some guidance and support from their departments and the faculty of graduate studies. I have often been asked to speak about my experiences living in this world and in this body. In 2003, when I was deep in the throes of graduate school angst, I wrote about how being a woman of color may multiply the difficulties of graduate school in largely white institutions. It was cathartic to write about my experiences and to attempt to provide advice for students of color and allies to deal with the systemic racism of higher education. In sum, I suggest graduate students of color find or create organizations that speak to issues of systemic racism in the academy and have a healthy balance with friends, family, and culture outside of the academy. Now in the mid-career and empty-nester phase of my life, my attitude about the university and my perspective on what is important has shifted considerably. To all graduate students, I advise you to read the Slow Professor for more tips on balancing the workload and pressures of academic life. In short, eat, sleep well and breathe! 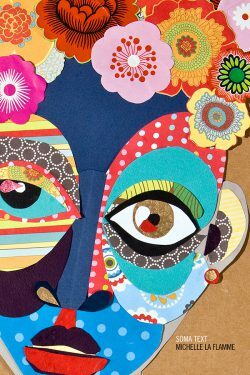 Header image: A section of Paper Queen Alice, courtesy of Brianna McCarthy, also used for the cover of Michelle’s book SOMA TEXT: Living, Writing and Staging Racial Hybridity in Canadian Literature and Drama.